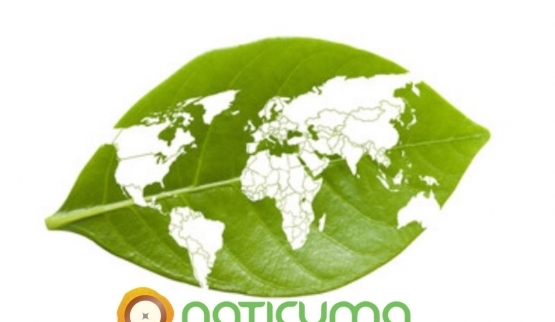 Naticuma is made with love. Experience the powers our products have to improve your way of life. 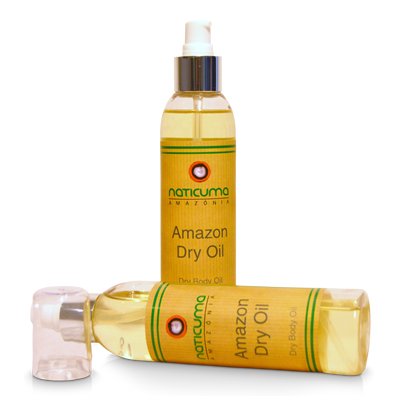 Our company aims to encompass the wholesomeness of the Amazon Rainforest in the essence of our creams and hydrating oils. We bring innovative and high quality products to the market that bring beauty, smoothness and hydration to skin of all ages. An innovative formula, which you don’t need to rinse off: fast absorbing and dry to the touch. This oil won’t leave you feeling oily, but will give your skin intense hydration, leaving it soft and smooth. It is made with Copaiba oil and Brazilian Nuts which have antioxidant and anti-aging properties to leave skin feeling hydrated and protected. Nutrients such as saponinas, minerals and vitamins A, B, C and E allow your skin to absorb these properties while providing hydration, smoothness and softness. Passion fruit oil is rich in vitamins A and C, containing minerals such as calcium, and providing a high concentration of Omega 6 fatty acid from the passion flower which is essential for the protection of your skin. Passion fruit oil is nutritive and calming: ideal for sensitive skin, and will leave your skin hydrated, soft and smooth. 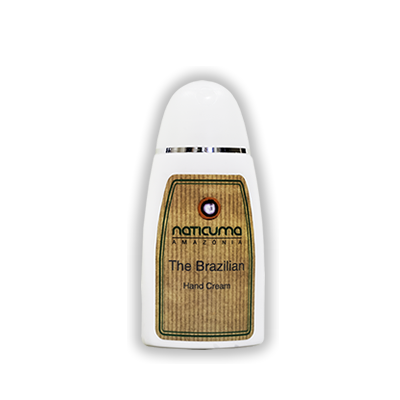 Made with Brazil nut oil that is rich in mineral salts, proteins and vitamins A, B, C and E. Provides nutrients and hydration to both your hands and nails, while the brazil nut oil leave dry hands feeling soft. Foot Cream is made with Copaiba oil from the Amazonian rainforest which contains nutritional and lubricating properties. The mint formula relieves tiredness with a refreshing sensation to the feet, leaving them hydrated and smooth. Recommended for rough and dry areas such as heels and sides of the feet. It is an extraordinary densifying acai serum made with natural ingredients,which are controlled and certified. This serum not only moisturises, but also restructures and rejuvenates yourskin with its unique ingredients. 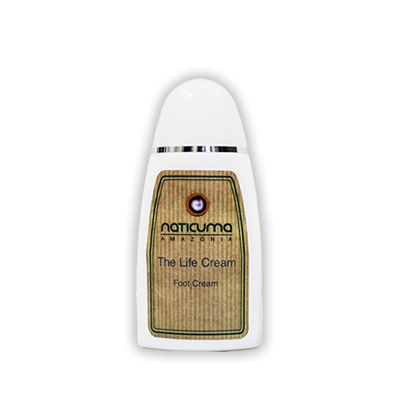 The success of the NAZILIAN CREAM formula is down to its 100% organic ingredients. The acai virgin oil is a valuable active ingredient and the other components of the cream all work together to enhance and compliment the others. Intimate hygiene is very important. 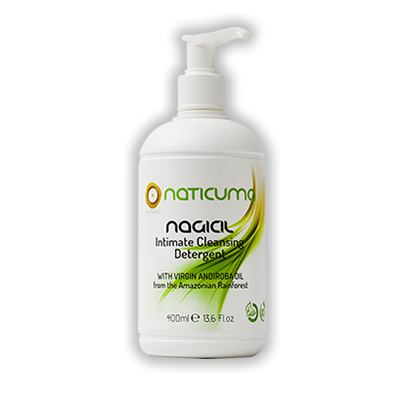 NAGICIL INTIMATE DETERGENT has been formulated as a specific product for intimate hygiene, for frequent use, since it respects the hydro-lipid mantle. 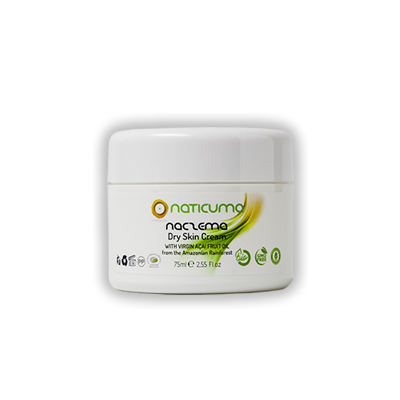 Thanks to the presence of a balanced formula of plant and apex extracts, NAGICIL DETERGENTE INTIMO performs a purifying function. This cream is a special orthodermic emulsion, 100% organic and fragrance-free. It has been researched for very dry, sensitive, chapped and psoriasis prone skin. Rich in natural substances such as argan oil, avocado oil, shea butter, mucilage, altea and calendula, associated with acai oil from the Amazonian rainforest. 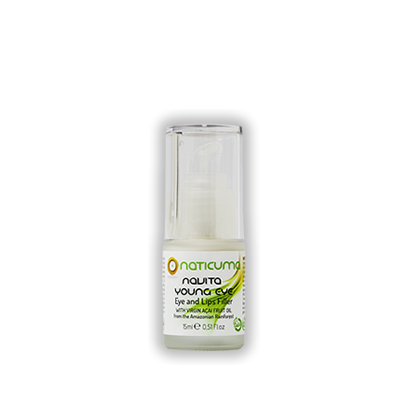 NAVITA Young Eye: It is 100% bio organic, with acai virgin oil which acts against wrinkles and lines often appearing on the face, especially in the eye and lip contour. 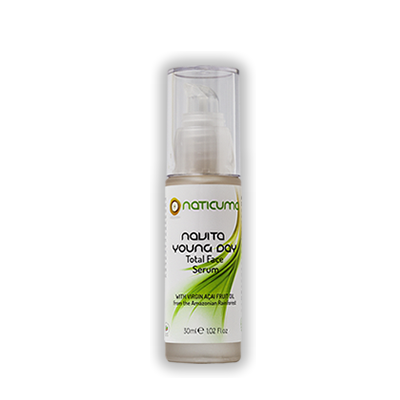 NAVITA is rich in vitamin C and high purity hyaluronic acid. These substances have remarkable "antiaging" properties and are essential to strengthen skin's hydration in the short and long term. "Hi my name is Isabela , I'm 20 year old. I'm in love with this dry oil. The fragrance is amazing with a soft consistency, never see anything else like this. Specially now during my pregnancy is been really good! I honestly love this line! Most of the other products I have tested are excellent. Thank you for taking care of my skin Naticuma."